We live in an era of on-demand video streaming and we already know about the services like Netflix which are rapidly becoming widespread among people on the internet. While there are many solutions on the internet available for streaming online videos, there is a whole different community of anime lovers who always keep wanting to see on-demand anime content. So here we are, bringing to you the list of some of the best free anime streaming sites. Read on to know more. Crunchyroll is often referred as Netflix of anime and manga series as it offers a lot of quality anime content of different genres. It offers at least 800 shows of anime and around 50 manga titles. Crunchyroll is one of the top anime streaming sites to watch anime episodes online. Crunchyroll offers 14 days of the free trial for its new users and after that, it offers both free and paid versions. The free version offers limited content along with ads and videos at standard definition quality only. But the paid subscription offers ample unlimited content without ads and allows high definition 1080p streaming. It will cost you around $ 6.95 /month. There is one more offering called premium+ membership that it offers which costs around $ 11.95/month. The key feature of this membership is that it provides you the latest shows just after an hour of its release on Japanese broadcast. Besides that, it also offers premium email support with priority responses. It also lets users view content on their apple and android smartphones through their app. The devices that it supports consist of Wii U, Xbox One, Xbox 360, Chromecast, PlayStation 3 and 4, Apple iOS, PlayStation Vita, Windows Phone, Android, Roku box and Apple TV. Anime-planet has a partnership with Crunchyroll, Viewster, and Hulu to make the widest range of content available to its viewers. It is again a best anime streaming website which is free and ad-supported. 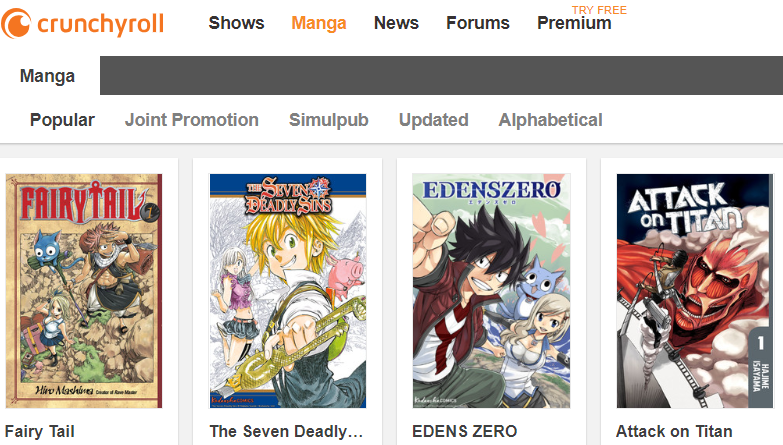 It lets you search episodes by filtering them according to anime, manga, characters, people, and users. It also lets you add episodes to your watchlist to watch them later. It is definitely one of the best anime streaming sites you would like to watch. Viewster is another best anime streaming site for anime lovers. It is available in 120 countries worldwide and is completely legal. It is a platform which focuses mainly on anime, unlike many others who offer mixed content. Viewster offers content based on your regions and hence it offers different content in different countries. There is a huge content available for the users of USA so if you want to view US content, then you might want to trick the site into showing you that by using a VPN. Tubi TV is another free anime website like crackle. It is the largest free library of free media content online. In March 2015, AdRise announced a licensing agreement with Paramount Pictures for the rights to 50 films per month on Tubi TV. After bringing in investments and content partnership agreements with MGM Studios and Lionsgate in November 2015, Tubi TV’s library grew to over 40,000 film and TV episodes. The library has now crossed more than 50000 titles, which is just next to the collection of Netflix. It offers content in various genres such as Action, Drama, Comedy, Anime, etc. and has a collection of more than 40000 shows and movies. TubiTV is available in United States, Canada and Belgium. It is legal and free anime streaming sites with which adds anime shows every week and all that free of cost. Crackle is a platform owned by Sony and is often referred to as Sony’s Netflix for the variety of content it offers. It is an ad-supported platform which offers free content from a range of TV shows like community and Seinfeld, and popular movies like super bad and 50 first dates. Besides that, it also offers originals such as Super Mansion. Several anime shows from Funimation are streamed on Crackle. This platform is supported by Amazon Fire TV, Apple TV, Chromecast, Roku, Android and iOS as well as LG, Samsung, Sony, Vizio smart TVs. Crackle is one of the best sources to watch free anime online. It is running from more than a decade now and giving tough time to competitors. 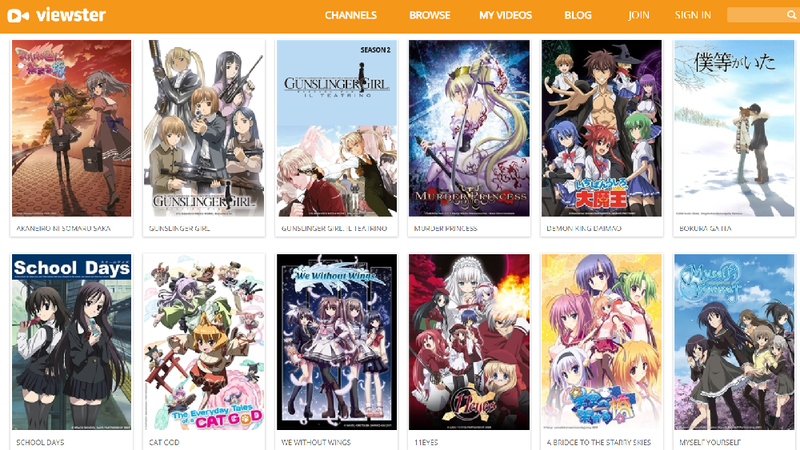 AnimeLab is another great free anime streaming sites to stream anime online. If you are an anime lover from Australia and New Zealand, then this Anime streaming website is the best for you. It offers free legal content but you will be required to pay only if you want to watch dubbed anime and that will cost you around AUD 6. It has a collection of at least 6000 anime episodes watched by around 5,00,000 subscribers. As far as free and paid versions are concerned, we would like to say that the free version is ad-supported and will offer videos only in standard definition, unlike the paid version which offers high definition. The free version provides new episodes after a week of their Japanese broadcast whereas the paid version provides content only after an hour. Moreover, the premium version is obviously ad-free and offers dubbed anime series also in HD quality. However, AnimeLab is kind enough to give you free 30-day access to taste their premium service before you pay them $7/month going further. You might be already familiar with Hulu which was a very good streaming service that was free and ad-supported. However, it later ended its services completely and merged with Yahoo view to change service model to subscription based. Yahoo and Hulu joined hands to offer not only anime but the best of Korean TV series and content from various TV networks. It is currently available in the United States and Canada but you can always view the content using VPN. Most of the content is available for free but you will have to pay a small amount to unlock certain categories. Believe me, it is also one of the best anime streaming sites to stream anime online. Alright guys, here we come to an end of our article. 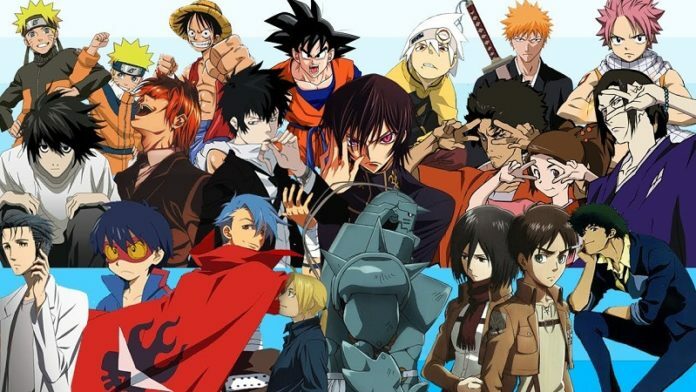 We hope this article helped you in finding the best free anime streaming sites and you will enjoy the best of anime world through this websites.